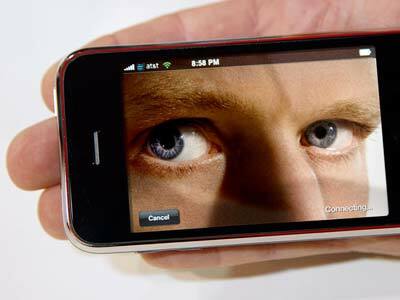 As naive as it may seem, there actually are Spy software available for smartphones including Apple iPhone that steal information like call details, location, photos and much more while staying in stealth mode. The problem is that once someone gets hold of your iPhone it only takes five to ten minutes for them to bug it with Spy app but once its done, it is hard to detect these software and even harder to remove them. In case you fear that someone might already have installed this iPhone Spyware and want to get rid of this, you might first want to cross check your accusations by relating to the points given below. 1. Strange calls from Strange numbers like +20 741965895. 2. Conspicuous SMS messages from unknown numbers. 3. Low Battery Back up. 4. Your iPhone may get warm or hot to touch even when you are not apparently using it at all. 5. You will notice strange beeps, vibrations or flash of lights from your iPhone while it is not in use or when you are on a call. 6. Considering that almost all the Spyware apps require a physical contact with the device to install and activate it, there is a possibility that you might find the person who actually has done it. You can try and recall if recently anyone borrowed your iPhone in order to make a “private call” or to download a ringtone or something similar such as an app or game. 7. You might see an increase in your Cell phone Bills, especially Text message bills even when you actually don’t yourself text so much. Alternatively, there might be an unusual increase in reported data traffic since these Spyware use GPRS to transfer and collect data. 8. Another symptom of having a Spyware on your iPhone is alteration in responsiveness in the form of random freezes, slow responsiveness, slow restart or shutdown. Although, there are other factors which may lead to similar problems, but Spy ware is more likely to cause such problems when you can detect other symptoms listed so far too. 9. As a rule, iPhone uses an icon located at the top left corner to indicate data transfer. If your iPhone shows this indicator even when you are not using internet yourself, there is a huge possibility that your iPhone is being monitored using Spyware. 10. Finally, a less technical way to estimate a Spyware for your iPhone is to think of a motive or personal situation that may have triggered someone to bug your iPhone. Some common examples are jealous ex or a jealous partner, tech savvy geek, a business partner or an colleague. 1. Spyware often disguises itself as background or innocuous file to avoid detection. You can thus delete programs and files you recognize as not bundled with iPhone or not installed by yourself. An easy way to verify if you have removed the Spyware is to closely monitor the positive change in performance or Symptoms listed earlier in this post. 2. Another way to obsolete the Spyware is to restore your iPhone to latest firmware as this will change the base-band of your iPhone and thus removing the Spyware. 3. You can use an Anti-Spy software like f-secure to get rid of iPhone Spyware. 4. Jailbroken iPhone’s have greater chance of getting bugged than un-Jailbroken one’s, so a preventive measure to stay away from Spyware is not to Unlock/Jailbreak your iPhone in the first place. 5. Finally, the iPhone restore. To effectively perform an iPhone restore you need to precisely first backup necessary information on your iPhone by syncing it with iTunes. It should be kept in mind that only stuff like contacts, photos, music,etc. should be backed up as there is a possibility that you might back up even the Spyware. As for other apps, your iTunes will automatically download your purchased apps later. After performing the backup, you need to do a complete restore of your iPhone using iTunes and complete restore does not mean doing an upgrade or simply clearing the date. When you restore your iPhone completely there is no chance that your iPhone still has a Spyware. I have an android phone. It freezes once in a while and seems to be using more battery power. Of greatest concern, however, is that the data transfer indicator shows virtually constant data transfer. It show activity at least every three minutes. Is this a sign of spyware? What you need to do is sign up for free trial at any Voice over Internet Protocol service and hire soft phone providers. The functions with the high-speed technology that the gizmo maintains are really miraculous. Leave your boyfriend because he’s a dipshipt for spying on you. Just think what he will do if your married. After you dump his dumbbass back up your info/contacts/items that you have entered into the phone. Then restore your phone as new then down load the back up. Make sure you change any and all password. Once that’s done send him a hot picture of you and a guy holding each other on the beach with drinks. Or you can call his mom and tell her you caught him in bed with an animal and you left him. Better yet tell all the girls that he loves to lick buttholes and you left him because you can stand his stinking dirt breath from lack of brushing his teeth and never having toilet paper! Lmao. You are hilarious Kelly! I’m being stalked and it hurts me. Any log information you can think of that might be a red flag? What if I visited a site and a got a pop up stating, adware/spyware detected! I have a iPhone 6.